Unique one of a kind executive waterfront home. 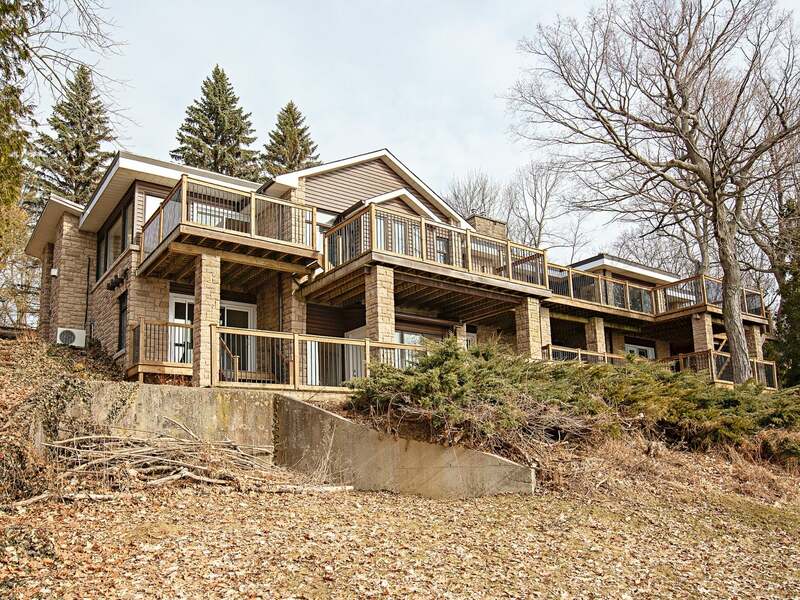 Featuring 5,000 sq/ft of finished living space, multi-level decking with picturesque panoramic water views of the St. Lawrence River. Located in sought after Milton subdivision just 10 minutes to Downtown Kingston. 4 bedrooms + den, 3.5 bathrooms, 5 fireplaces, vaulted family room with incredible wood work and breathtaking water views from nearly every room. Circular driveway, 4 car garage and much more. A spectacular waterfront property, well priced under 1M! Floor Area 2,668 Sq. Ft. Lot Size 120 x 259 Sq. Ft. Please send me more information on 30 Riverside Drive, Ontario. Thank you.